Appetite issues, gas, mental fogginess, nausea, vomiting, diarrhea, exhaustion. When the stomach bugs come to town, there's just no telling what manner of misery you may find yourself in. Whether it's a contagious virus or some food-borne bacteria, getting rid of it is always a #1 priority! We often hear that there is just nothing you can take/do in these cases, except let them run their course. We feel differently. In some cases, these are prolonged and can stay and settle in the body causing inflammation and leading to disease when not effectively addressed and cleansed out of the system. There are several remedies that can help in getting over and getting rid of these stomach invaders. If you want more information on any of the herbs and combinations below, just click on the name for details. Silver Shield or Olive Leaf Extract are the place to start above all else. In most cases, either remedy will do the trick in eliminating the virus or bacteria from your system. Since Silver is liquid though, it can be more useful with children and periods when it's difficult to keep anything down. Ginger - If you struggle with gas or stomach pains anytime, but especially as the result of stomach bugs, ginger is an excellent source of relief. 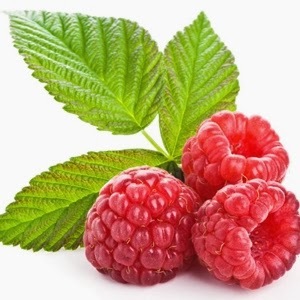 Red Raspberry (or the liquid) - Women's health, digestion and nausea relief are just a few of the areas Raspberry is good for. The capsules are an excellent addition to help with nausea and the liquid is especially helpful for kids! Making some raspberry tea and sipping it at a cool temperature has also been effective in calming the system when it's refusing to keep anything down. FV, Slippery Elm or Intestinal, Soothe & Build - If diarrhea is a problem, be sure to include FV and then one of the other supplements to help calm the system down. FV nourishes the digestive system and settles the stomach. Slippery Elm works to maintain normal elimination. Intestinal, Soothe & Build works to restore the bowel to a healthier, cleaner state. Solstic Revive - Since the electrolyte balance is disrupted through vomiting and diarrhea, Solstic Revive is a pleasant tasting powder that can be mixed with water and consumed to help restore those energy and balance to the body. This is a great help in recovering from illnesses as well as excessive exercise and overall preventing dehydration. Chinese Trigger Immune - Recovery is often a big issue, especially when high fevers are involved. This Chinese formula builds up the circulatory system and fights against nutrient depletion - which is common in illness, especially with vomiting and diarrhea. Not sure what is best for your body? Give us a call (405)-634-HERB or send us an email theherbgarden@cox.net and we would LOVE to help you!